If you have purchased a property in Spain (in particular, but it does happen in other areas to a lesser extent) and it looks very much like this development will not be completed or that the developer responsible for building it is in trouble, you may well receive a call from a ‘legal professional’ offering you legal services to recover any funds you may have invested. Be very, very careful with these, and by very careful, I mean don’t entertain them at all. They are the property equivalent of PC Cold Calling Scams where Indian accented ‘PC Professionals’ call telling you that ‘they can see virus activity on your computer via their servers’ – very common in Ireland these days. These guys have generally been sold the client database (or it has been passed on by someone in the office of the developer) and they are out to defraud you further. Quite a few of these companies target clients with problems selling Timeshare properties, because it is such a rich vein, there are literally thousands of them from which to choose. 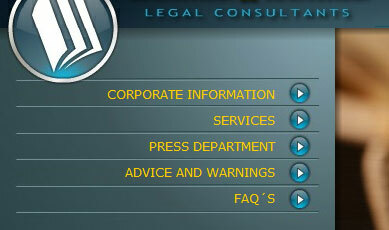 If you want to check if a Spanish firm is legitimate then you can check it against the legal register in Spain here. If the company is legitimate their registration number will also normally be on their website, you can check it very easily against the register. If the company does not put this number on its site you should be very suspicious. Just be aware that if you have had dealings with large Spanish property sales companies that had a lot of overseas buyers such as MRI, Fadesa, Aifos, etc. you could well be called by people claiming to be lawyers that will follow up your claim for an, often significant, upfront fee. A number of these so called ‘legal firms’ very suspiciously got their hands on a large list of MacAnthony Realty International’s (MRI) database after the company suddenly pulled out of Spain, calling many of its clients and relieving them of further funds, adding insult to injury. The legal firms then vanished as quickly as they had surfaced. The same thing happened when Fortuna Estates (which was known as Oanna at the time it was raided by the Police). One company in particular, called European Mediation, rang a large amount of the clients looking for up-front fees then disappeared into thin air. The advice is not to entertain any of these fraudsters. Ask for a phone number on which you can return their call and pass it on to the Gardaí for them to follow up on the number, it is often a fake one anyway. The Gardaí won’t, of course, do anything they’re far too understaffed these days, but if they get enough complaints about one company they may well be put in a position to take further action.